bioPmed is the Italian innovation cluster dedicated to health care related products and services established in 2009 by Regione Piemonte in the framework of the ERDF – POR 2007-2013 program. bioPmed brings together companies, research centers, universities and foundations, promotes research-industry interactions and stimulates innovation and internationalization. The bioPmed cluster initiative is led by Bioindustry Park Silvano Fumero. bioPmed offers dedicated funding for research projects and feasibility studies, high value-added specialized services and international networks to support industry competitiveness and to favor the convergence of public and private investments towards common development paths. On November 20th 2015 Regione Piemonte signed a framework agreement with Regione Valle d’Aosta in the topic of research, innovation and technology transfer. The partnership will allow Valle d’Aosta companies – through the bioPmed Association – to benefit from the services and the support of Bioindustry Park, and will favor the concentration of funding and efforts on common activities. Bioindustry Park is the regional science park founded in 1998, which, since its creation, has been working as system integrator for the development of life sciences in the Region. Since 2009 it has been managing the activities of the cluster utilizing its specialist skills, its experience in the sector and its large international network. 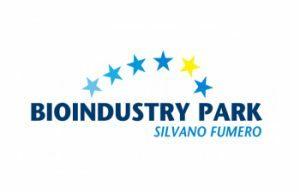 Bioindustry Park Silvano Fumero SpA has been awarded the Gold Label for Cluster Management Excellence da parte dell’ESCA – European Secretariat for Cluster Analysis.